A beautiful late summer sun accompanied the garden party on Sunday, September 22. 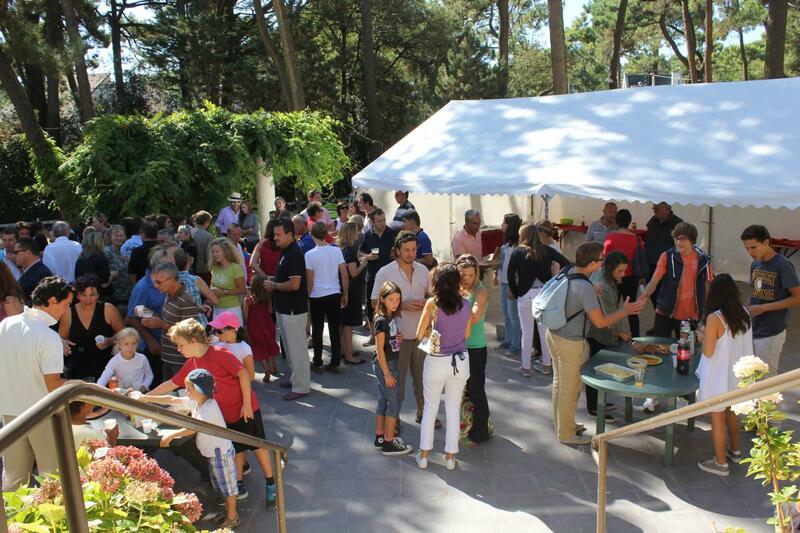 It was attended by about two hundred participants Garden tennis club in La Baule. By noon, aperitif allowed everyone to find or get to know. A well stocked and tantalizing buffet awaited the guests who are seated under the pines. It's always a nice moment that sharing friendly! Desserts prepared and brought by the families were as gorgeous as it is delicious. Over coffee, some accordion tunes played by a musician parents have contributed to the party and made me want to dance to the joyous banquet of final year students. Tennis tournaments have been quick to take over and the sections were-won. Thank you to the organizers and all those who have lent a hand and helped make this day a success. Soon for the General Assembly, Friday, Sept. 27.